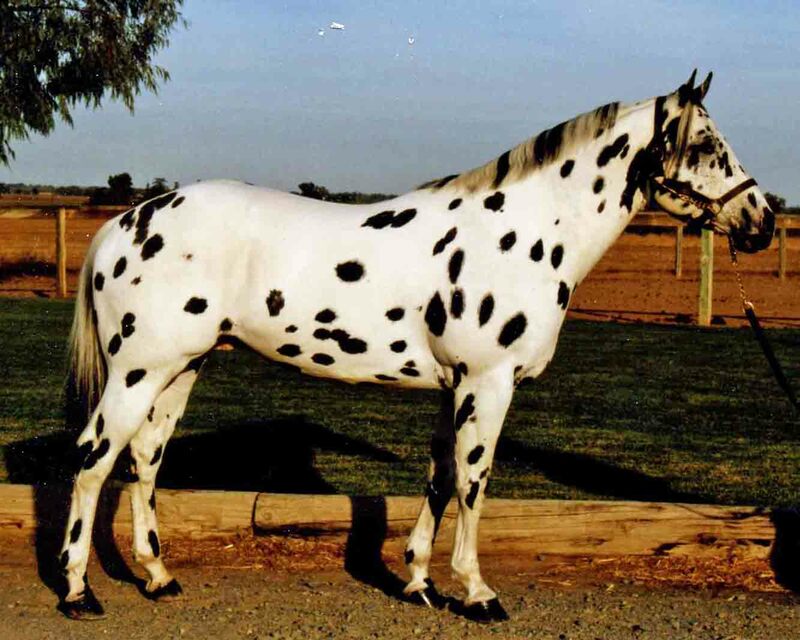 1997 black leopard Stonewall Sporthorse stallion – Stonewall Rebel x Dona Francesca (TB) by Que Bravo (TB). Stonewall Sporthorse Champion. Active sire line in the American Sugarbush Harlequin Draft Association Studbook. 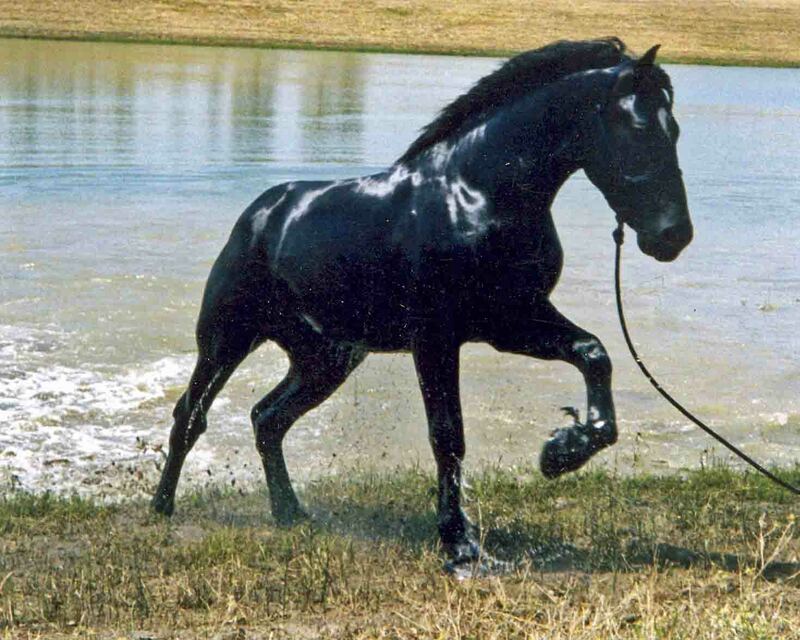 1996 black Percheron stallion – Stardust Royal Command x JP Lovely Lucy by Bradhollme Buster. 1999 National Champion three year old Percheron stallion. 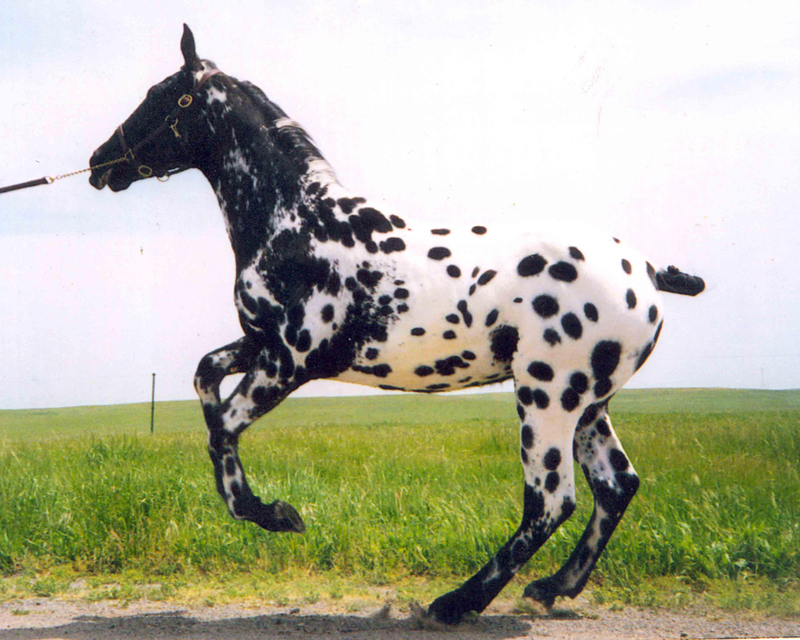 1989 black leopard Appaloosa stallion – Aukum McKane x Coco Puff V by Polka Dart. International Champion sire, FEI Champion sire. 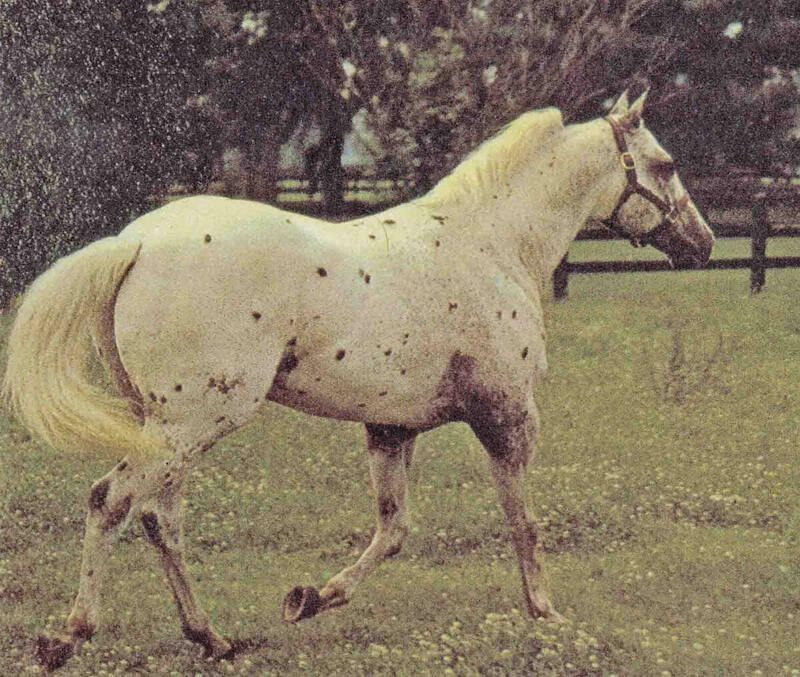 1968 chestnut roan Appaloosa stallion – Apollo (TB) x Ocala Princess by Pop Pop Jimmy (TB). World Champion, World Record setting race horse, International Champion sire.